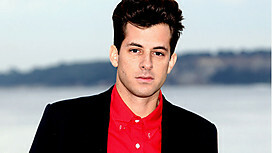 Mark Ronson Plays The Melker Project! Mark Ronson emailed me a few weeks ago to send over a high quality version of the mashup that I did of his epic track Stop Me alongside Adele’s Rolling In The Deep. I was hugely flattered – it’s rare that an original artist finds a bootleg of their own song and gives it their stamp of approval! He shared it with the world on his BBC Radio Show! You can see the link here.